Sponsored by Monday Properties and written by ARLnow.com, Startup Monday is a weekly column that profiles Arlington-based startups and their founders, plus other local technology happenings. The Ground Floor, Monday’s office space for young companies in Rosslyn, is now open. The Metro-accessible space features a 5,000-square-foot common area that includes a kitchen, lounge area, collaborative meeting spaces, and a stage for formal presentations. College students fall asleep in class. It’s an age-old issue. 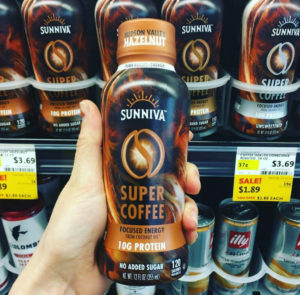 But a new solution to the problem is what prompted the launch of Sunniva, an Arlington-based “super coffee” beverage business. A couple of years ago Jordan DeCicco was that guy who kept falling asleep in his classes at Philadelphia University. The freshman tried to stay awake using the energy drinks or pre-made coffee beverages available at convenience stores, but he didn’t like all the sugar, fat, caffeine, and calories that accompanied the beverages. He learned about Bulletproof Coffee — a blended mixture of coffee, grass-fed butter, and MCT oil — and found that it definitely gave the energy boost he needed to stay awake through class. He tried making it in his dorm room but that wasn’t really practical for a few reasons. First, making it ahead of time and trying to chill it resulted in the butter going back to its solid form. Second, it was loaded with fat from the butter. Finally, Jordan just wasn’t a fan of the taste. That’s when he started making his own coffee drink and it seemed to be a winner. So much so that other students took notice and DeCicco began selling the drink out of his dorm room. He felt like he was onto something and enlisted help from older brother Jake, who at the time was in business school at Georgetown University. Sunniva’s combination of Colombian coffee, coconut oil, and a lactose-free milk protein is a low-fat, low-cal beverage that, according to Jake, offers a longer-term energy boost compared to other products that often provide an energy spike and a crash later. Each bottle has 90mg of caffeine, which is pretty standard for an 8 oz. cup of coffee. Sunniva is now about a year old and based out of the WeWork space in Crystal City. 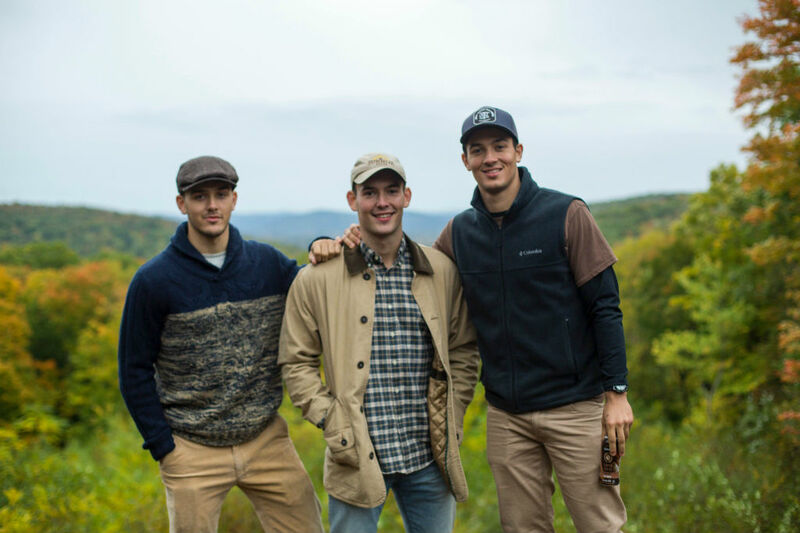 Oldest brother Jim is now the CEO and joins middle brother Jake in running the business, while youngest brother Jordan has gone back to school after taking a year off following his freshman year. The business is coming full circle and targeting the very audience from which the original idea sprouted: Sunniva has found a substantial niche market on college campuses. It therefore relies heavily on digital marketing channels that younger audiences use: Facebook, Twitter, Instagram, blogs, and vlogs, to name a few. “Being started by tired college kids for tired college kids, we really take advantage of this digital age,” Jake says. The brothers often are featured in the various social media posts. “We definitely have a personality behind the brand,” Jake says. He laughs as he points out how they often go by “oldest brother, middle brother, and youngest brother” instead of by formal titles like CEO, COO, or founder. In addition to a growing market on college campuses, Sunniva also has found a home in the cold beverage section of 32 Whole Foods stores in the Mid-Atlantic region, as well as on Amazon. The product is processed at an aseptic facility in Buffalo, New York. The business tried out different manufacturers and different modes of pasteurization before landing at the current facility. “We had to scale our business appropriately to get there,” Jake says. Sunniva currently processes about 200,000 bottles per batch. The product now is made in such a way that it doesn’t require refrigeration before opening; it’s shelf-stable for nine months.